Performing onstage in front of an audience is thrilling for any dancer, a wonderful training ground for all young performers and a chance to showcase what has been achieved in class. All of our students are invited to perform in our annual concert which is held at the end of 4th Term each year. Our 2 shows at QUT Gardens Theatre are always the highlight of the year for our students and their families. Becoming a member of our performance Team is open to all T&D students who are enrolled and attending the prerequisite classes. 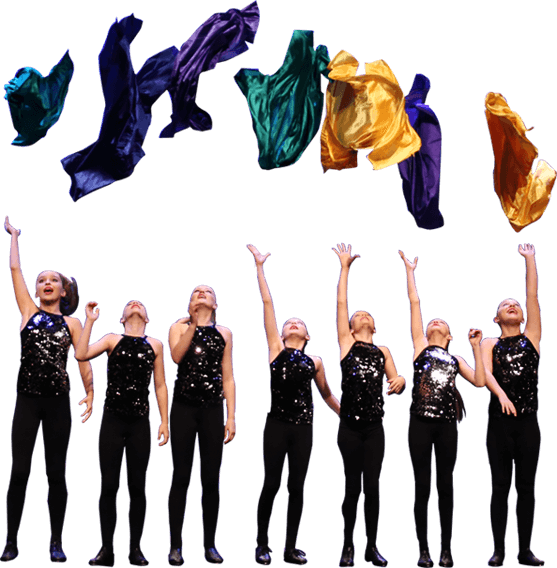 The T&D Performance Team competes in 3 eisteddfods per year during Terms 2 and 3. T&D is committed to providing exciting opportunities for students to perform and learn overseas whilst gaining exposure to a diverse range of cultural experiences. Our next overseas trip as a studio will be in 2020. Making a difference and giving something back to the community is one thing that all T&D students, teachers and parents love to do. Most recently our students have performed at charity events for The Pyjama Foundation, Bravehearts and the Queensland Children’s Hospital. Along with performing we also select one local charity to fundraise for each term, bringing awareness to our students about the situations of those less fortunate and educating them about how they can best assist and bring about change.